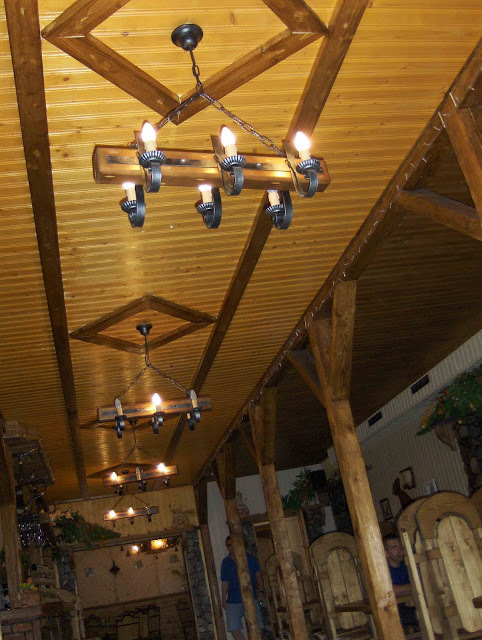 This is typical wooden design of interior in the restaurants of Ivano-Frankivs'k region. 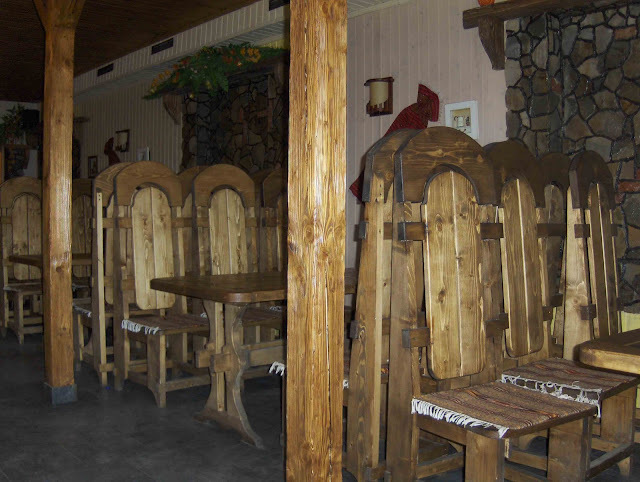 The staff of restaurants very often dressed in traditional Ukrainian costumes, and the most expensive dish in the Carpatian restaurants cost approximately $10-$15. Other dishes are cheaper.